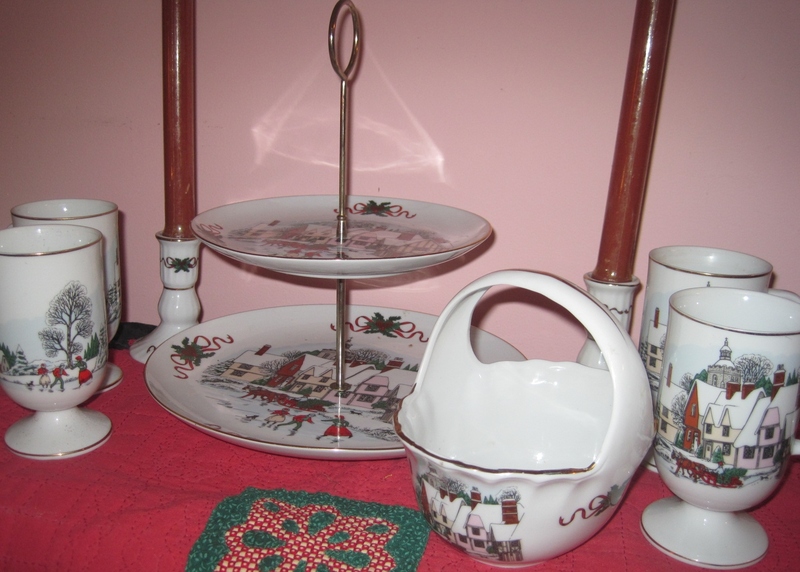 About 30 years ago, my oldest daughter gave me a beautiful set for Christmas that included a tiered plate, a basket, two candle holders and 4 mugs. They were purchased at Lazarus department store in downtown Cincinnati and I have loved them and used them every Christmas. On Saturday, we visited a lovely thrift/consignment shop (Vintage Market & Thrift, Loveland, Ohio) and saw eight dessert plates to this set on display. The original price was reasonable, but there was also 75% off on Christmas items, so I snatched them up. They were still in their original boxes which were in mint condition and still had the remnants of a Lazarus label on the side. 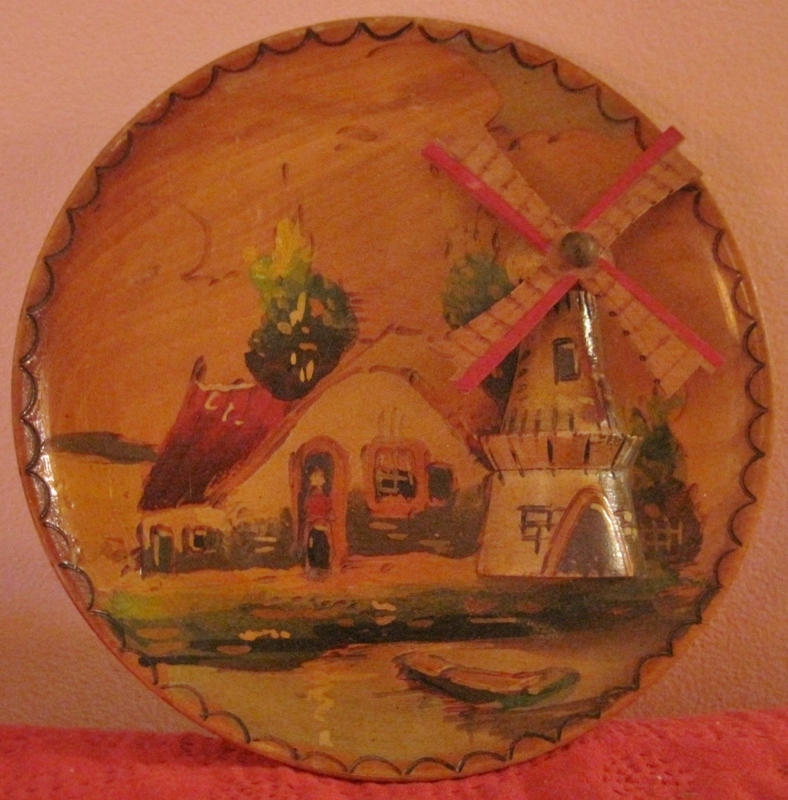 …and a Homer Laughlin platter. The total cost was $14.95. Now, that’s a bargain. I am so pleased for you, the Christmas pieces really are lovely. Oh! I love that kind of deal!! Lucky you! What a lovely, lucky find! Enjoy your pretty things. Your home must be such a wonderful place to tour…happy new year! Now that is my kind of shopping. Or maybe it’s treasure hunting! How exciting to find matching desert plates. That is a really pretty pattern. 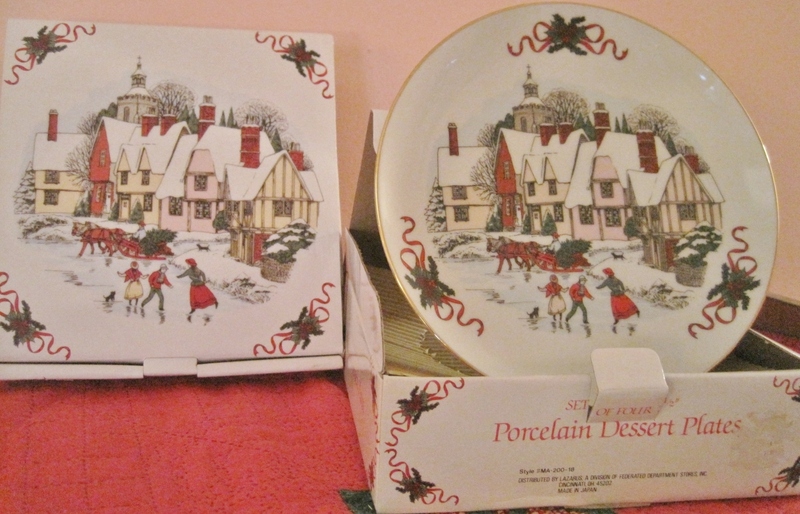 Many years ago I found some beautiful Christmas plates at Home Goods, when they where still here on Beechmont Ave. They only had the plates, but I got them for $1.00 a piece. Needless to say I purchased 16m later I found two matching bowls. I love putting those out every Christmas. Oh if those dishes could talk, the stories they could tell, and they would all be of fun family times. Thanks for sharing. One last thing. 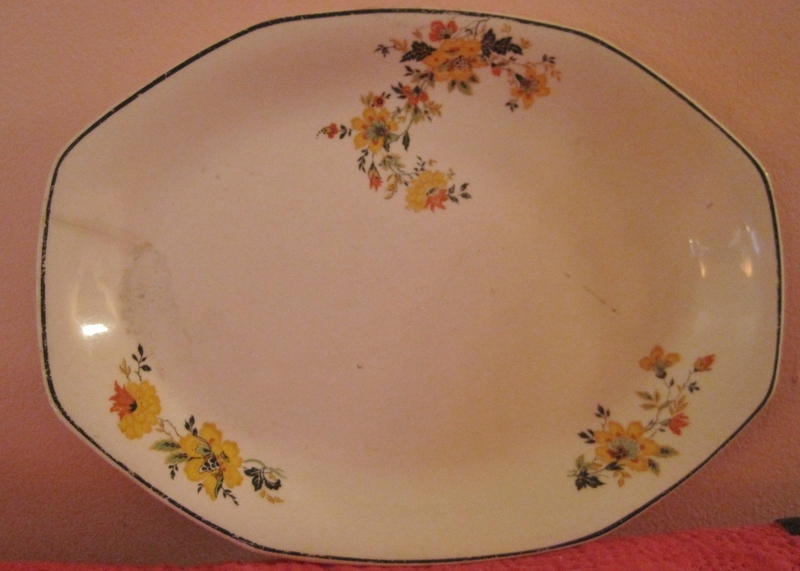 I have a small platter very similar to the Homer Laughlin. I use it all the time. I look forward to hearing your stories this coming year. Take care. Such neautiful treasures, they were meant to be yours. Those are lovely pieces! Want to try that black bean soup recipe too – great cold weather food. Now that is what I’d call a successful shopping day! Oh, my gosh, Lillian! What a find those plates are! That is amazing. And all your finds for less than $15? That’s a miracle! LOL Who says one has to have lots of money to have fun and be happy? wow! what a haul – that’s fantastic. I love that (and your black bean soup! I remember the store name of Lazarus, but I don’t think we had one in our town. Boy, that was a long time ago. We had Strous-Hershberg’s which then was bought out by Dillards. I hope you have plenty of milk & bread & coffee/tea because we’re in for a rough couple of days!! Be careful if you DO have to go out. Your new finds are so pretty! Thanks for sharing your soup recipe!